Havard Welding Supply is conveniently located on the Houston Ship Channel in Galena Park, Texas, with easy access to the East Houston area. We have facilities that make it easy for pick up and will-calls, as well as delivery routes daily. A complete line of top of the line welding supplies, welding machines, welding rods and wire, helmets, cutting torches, and pressure regulators are some of our normal stock items. 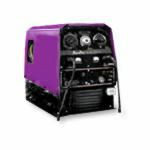 In welding machines, some name brands we handle are Hobart, Miller, Esab and Lincoln. Mig welders and tig welders are available for your mig and tig welding needs. Repairs and in-field troubleshooting are available upon request. We stock and supply Oxygen, Acetylene, Nitrogen, Argon, Propane, Helium, CO2 and Hydrogen to name a few welding gases. 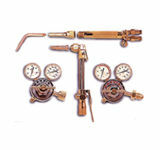 Lab gases and specialty gases or specialty gas mixes are also normal items and many in stock. Cryogenic gases and bulk cylinder tanks are delivered by us to your job site or plant facility. High volume users can also get Liquid Oxygen, Liquid Nitrogen, Liquid Argon, or Six-Packs for their convenience.